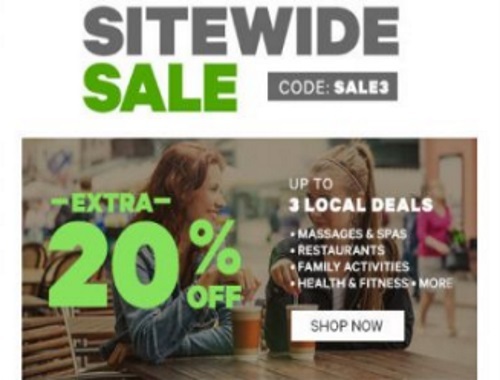 Groupon has a sitewide sale on now! Save up to 20% off your order today! Save 20% off local deals, or 10% off goods deals or getaway travel deals. Enter the promo code SALE3 at checkout. Offer is valid Wednesday, March 29, 2017 only.